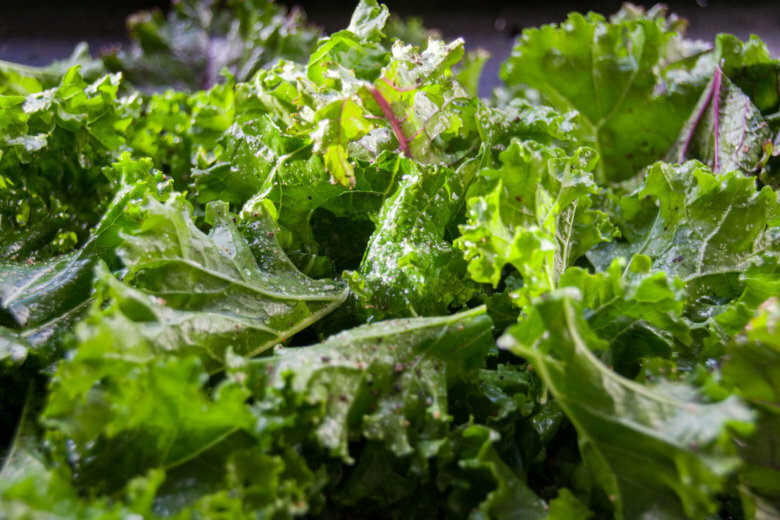 A new report from the Environmental Working Group finds the leafy green kale contains more pesticide residue than most other kinds of produce. See a list of produce items that are most contaminated by pesticides. And a list of the least contaminated. The environmental group’s “Dirty Dozen” report uses data from the U.S. Department of Agriculture to identify fresh fruits and vegetables that are the most and least contaminated with pesticide residue. Kale, which was last tested by the USDA in 2009, now ranks third on the list of most contaminated produce items — behind only strawberries and spinach. The group’s analysis found 92 percent of conventionally grown kale samples had residue from at least two or more pesticides. Some samples contained far more — as many as 18 different pesticides. “We were surprised kale had so many pesticides on it, but the test results were unequivocal,” said Alexis Temkin, a toxicologist with the group, in a statement. About 60 percent of kale samples tested positive for a pesticide known as DCPA or Dacthal, the group said. The pesticide has been banned in the European Union since 2009, and the Environmental Protection Agency classifies the substance as a possible human carcinogen. Overall, nearly 70 percent of conventionally grown produce sold in the U.S. has pesticide residues, according to the report. There are health risks to consuming vegetables with the residues — especially for pregnant women and children. The group recommends shoppers should purchase organic versions of produce known to be high in pesticide residues when they can. But they also stress that eating fresh produce even if conventionally grown is beneficial. “The health benefits of a diet rich in fruits and vegetables outweigh the risks of pesticide exposure,” said Carla Burns, a research analyst with the environmental group.